Here are the vacuum line diagrams you needed. Please let us know if you need anything else. Please start a new question so we can tailor our answer just for you, and to help the people researching this topic who have the same model as you have. And you must understand there may be multiple engines available for your model, so be sure to list the engine size. 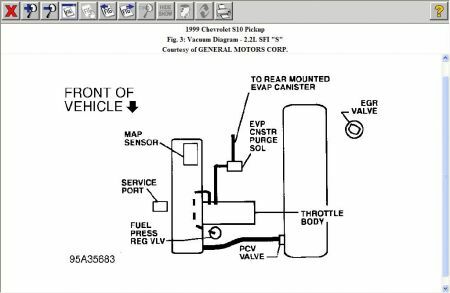 Also be aware there are usually different vacuum hose routing diagrams depending on the options on your car. 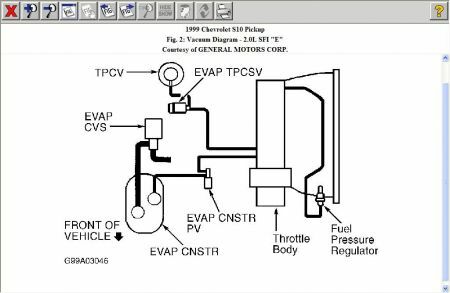 The only way to know for sure you have the right diagram is it's on the emissions sticker under the hood. In the unlikely event yours is missing, Ford has very nice paper "EVTM" manuals. That's "Electrical, Vacuum, something something". You can find those pretty inexpensively on eBay. I bought 50 of them from one seller for my classroom a few years ago. That book will have every diagram that could pertain to your model. 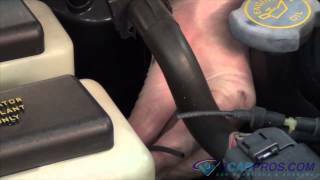 1999 Chevy S-10 Vacum Lines On The Engine.